from £276.24 Eon 8mm Wetroom Glass From tradebathrooms.com at guaranteed lowest prices on the net. Walk In Shower Enclosures Maximise Your Showering Experience. A quality Walk in Shower Enclosure really does rely on the quality of the Stability of the glass panels. At Trade Bathrooms.com all our Walk in Shower Enclosure come complete with a manufacturer’s lifetime guarantee. 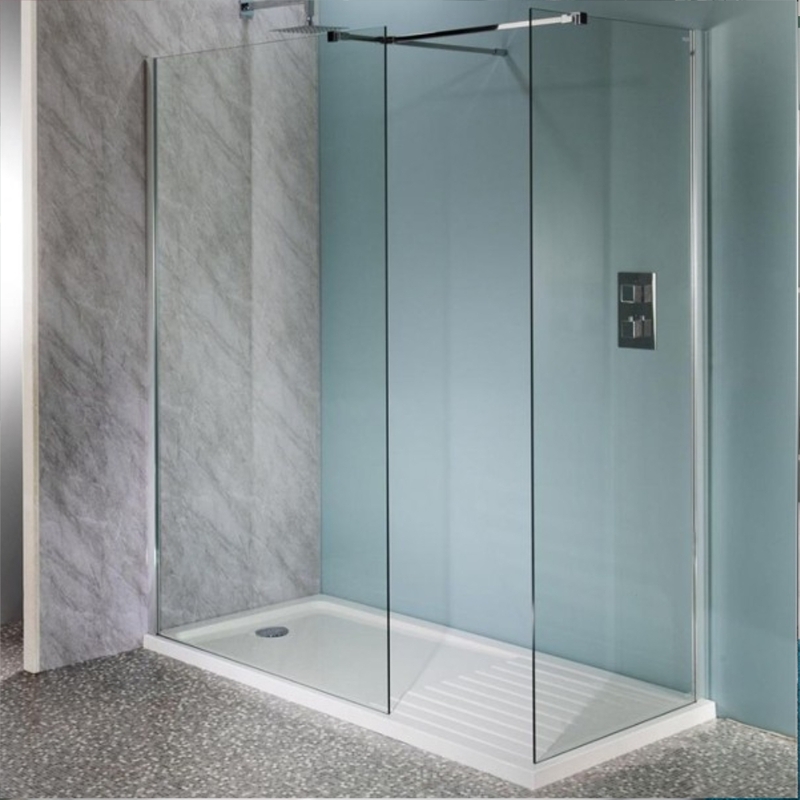 Within our range of Walk in Shower Enclosure you will find toughened glass pivot doors that have a thickness of 6mm right up to 10mm thick. You will also find a large variety of sizes available from 1400mm long extending up to large shower enclosures of 1700mm. Our ranges of Walk In Shower Enclosure give the feeling of a luxury of wet room showers without the complication of tanking out your bathroom,. Features included on our walk in shower enclosures section are frameless glass, concealed fixings self cleaning glass, inbuilt water delivery systems and also many more to mention. Why not browse through our full range of Walk In Shower Enclosure to find the perfect solution to your shower room. You will also find an extensive range of shower trays located within our shower tray section all at fantastic low prices. Why not check out our section of complete shower rooms where not only will you save money compared to buying products separately here at Trade Bathrooms.com we will also give you inspiration in matching ideal products that compliment each other. You will find a price for all budgets in our complete Walk In Shower Enclosures shower rooms. Find Walk In Shower Enclosures that cater to your needs with our stunning selection of classic Walk In Shower Enclosures and striking minimalist Walk In Shower Enclosures from our online collection. To find out more about our complete Walk in Shower Enclosures, browse the collection today.